The judge says, “When I put it all together, the forty year commitment appears reasonable and fair.” The commitment to a mental institution is an alternative to prison in exchange for a guilty plea. But hospitals are supposed to provide treatment for sick people. If she’s not mentally ill, she should be incarcerated. If she is, one would expect that there is an allowance for the medical treatment resulting in the condition of the defendant improving or her even being cured. Morgan Geyser, a fifteen-year-old juvenile, was only twelve when she repeatedly stabbed her victim, a classmate. There are murderers who are juveniles that are released when they reach eighteen in some states. There are adult murderers who are serving much shorter sentences than this teenage girl. The illegal alien murderer of Kate Steinle was only convicted of a weapons charge and is in federal custody only because of the notoriety of the senseless abdication of their responsibility by the sanctuary city of San Franciso. 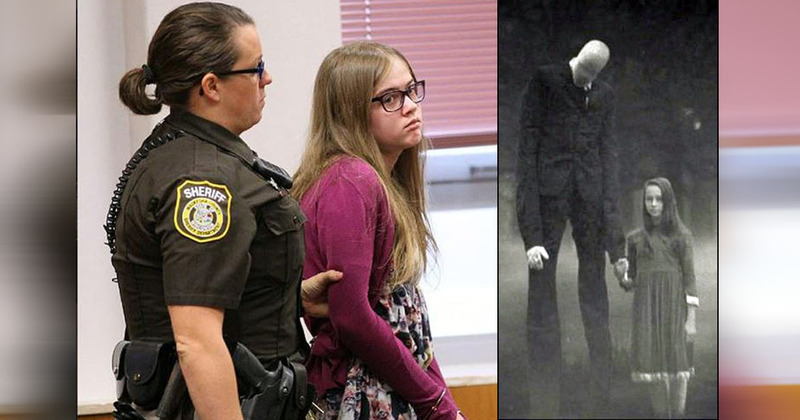 Geyser and her accomplice enticed their victim into a wooded area and repeatedly stabbed her, leaving her for dead in a horrific and childish Slender Man motivated attack. Undoubtedly she has mental problems and should be locked up, but she was also a pre-teen at the time and there is the possibility that the treatment could be effective. Children do grow up and they do change. Is it overly harsh for her to be confined to an institution for most of her life for attempted murder that she conducted as a mentally disturbed child? He’s making sure things don’t fall apart on her in the community by having them fall apart now and for the next forty years in a hospital. It only makes sense to avoid having a crazy killer roaming loose in the community, but if she is able to be treated in the hospital, and is, after twenty years basically normal, is it the right decision? The one sure way to end recidivism is to lock people up for life but that isn’t what this judge or any other does in many cases, and he didn’t effectively explain why in this instance, as horrific as the attempted murder was, he’s throwing the book at Geyser. Her accomplice received a sentence of 25 years in a psychiatric institute, a stiff sentence in itself. Forty years is really dropping the hammer. It’s not easy being a judge and you’re always subject to being second-guessed, but compared to other offenders, this sentence does seem extreme. Spot on with this analysis! They say that were “justice” is rendered when compassion is needed, then, compassion will be rendered where justice is needed. Perfect example is Steinle murderer and this girl. Every brain has it’s own path of development. Hopefully the State law will give the doctors some flexibility, if warranted, in the future.